Perfect for a smaller bedroom in an apartment or condo, this lingerie chest offers six drawers while taking up very little floor space. Solid mahogany wood construction gives each piece a warm, rustic feel, highlighted by the Mahogany finish. Tapered legs and clean lines complete the look for a contemporary casual style. 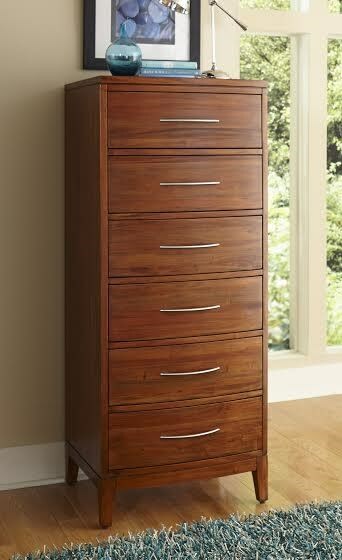 The Boston Brownstone 6 Drawer Lingerie Chest by Napa Furniture Designs at HomeWorld Furniture in the Hawaii, Oahu, Hilo, Kona, Maui area. Product availability may vary. Contact us for the most current availability on this product.